Don’t Get Even – Get Mad! 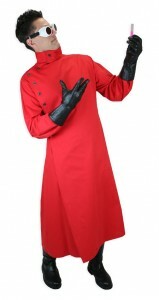 Go crazy with our Mad Scientist Lab Coats in a full spectrum of colors. Your vest and frock coat will be protected from unplanned spills, splashes and explosions with our full length Howie Lab Coat.